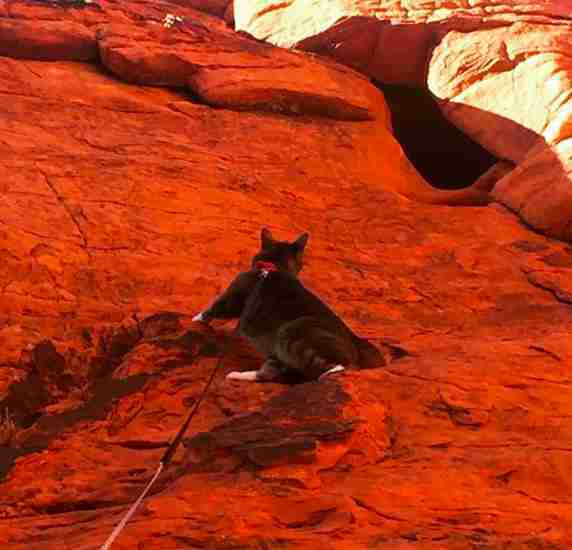 When Sandra Samman decided to adopt a cat, she knew she wanted one who shared her love for adventure, and could keep up with her fast-paced, outdoorsy lifestyle. 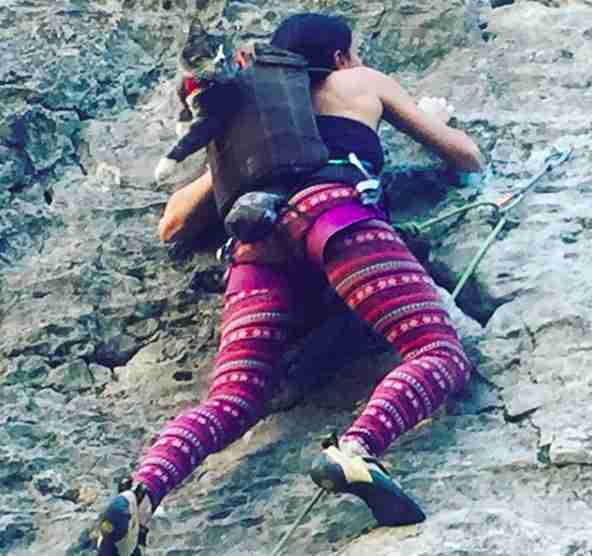 When she met Denali, she immediately knew he fit the role — but had no idea just how adventurous he really was, or how much he would love rock climbing with his new family. Denali and his littermates were rescued from a barn in New Mexico and brought to Foothills Animal Shelter in Colorado. 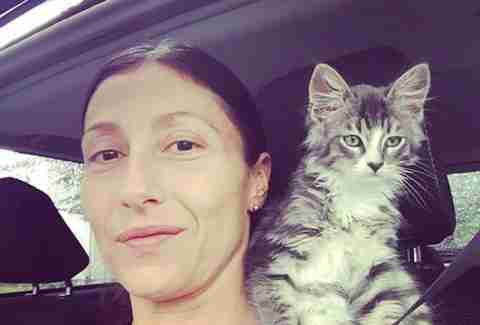 The 2-month-old kitten had only been at the shelter for a few days before his new mom found him, and she immediately knew he was meant to be a member of her family. 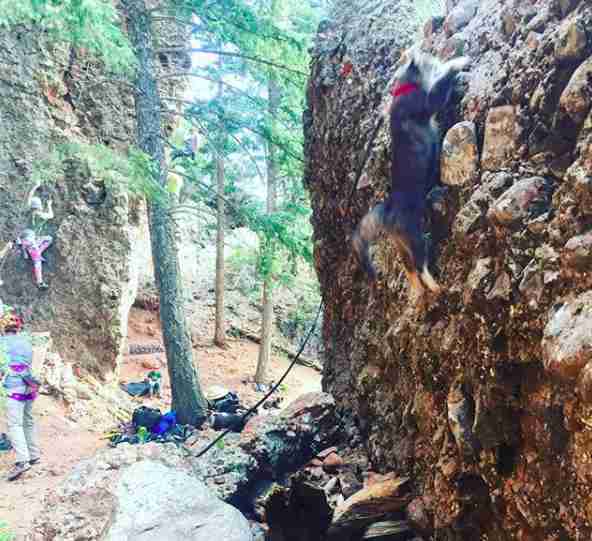 Samman became an avid rock climber after a trip through Southeast Asia; she spends a lot of time climbing at the rock climbing gym as well as outdoors. 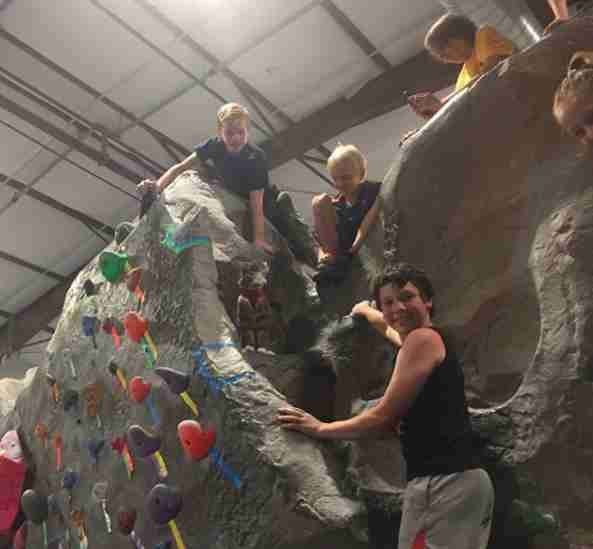 From the very beginning, Denali wanted to be with his mom all the time, going wherever she goes, so she started bringing him to the climbing gym, and was amazed by how much he loved it. … as well as dabbling in a little climbing of his own. 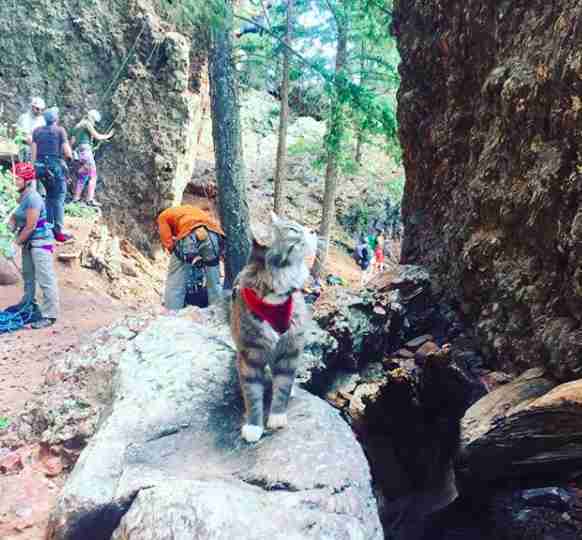 While the rock climbing gym is a lot of fun, what Denali really loves is going on adventures outdoors. He and his family have been climbing all over Colorado, New Mexico, Utah, Nevada, Wyoming and Kentucky, and plan to conquer many more states in the future. … eager to explore the world around him and make his family proud. Denali always gets SO excited when Samman takes out his harness, signaling that it’s time to head out for more exploring and fun. He’s been with his family for around two years now and has enjoyed every single moment. 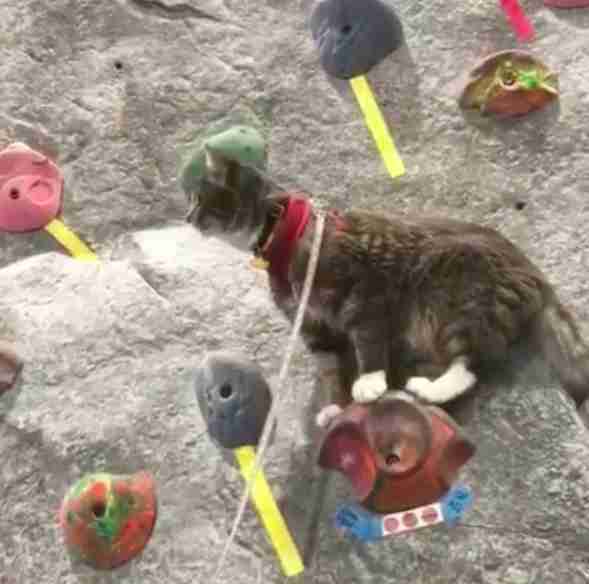 You can follow Denali and all of his rock climbing adventures on his Instagram account.